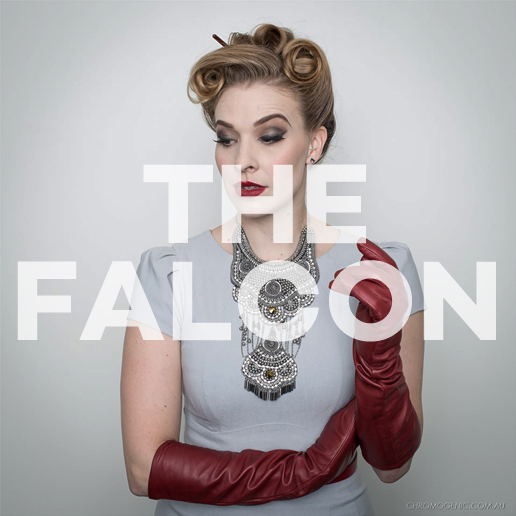 The Falcon is a neo noir film shot in Melbourne in January, 2016. In my role I helped to scout 6 different locations for 6 scenes, and was in charge of production design for each location including all props. I also designed the wardrobe for the lead characters, support characters, and extras. My main focus for the wardrobe was 3 outfit changes for the female lead, Lulu. She needed to be striking and memorable, while fitting into the noir-era aesthetically. I sourced both modern and vintage reproduction pieces for her wardrobe, and added bold accessories to complete her look. I also designed the wardrobe for the male lead, Joe, including finding an era-authentic hat, and also dressed the villain, The Falcon, and all secondary characters and extras. I was responsible for scouting most of the locations for the film, and designing the sets in each one. The most complex of the sets was the Scientist’s Lair, which we filmed inside an old train carriage at Newport Railway Museum. I sourced a very large number of props to create a hectic, science-themed set for the character. WATCH THE FULL FILM BELOW!